The little girl in me is just jumping up and down. It’s October! Time to dress up in costumes and go trick or treating. I’ve always loved Halloween and got really creative with my costumes. One year, I was a book worm. I dressed all in green, wore fake glasses (I didn’t need them for real back then) and a fake graduation cap. Then I took two large poster boards and created a dummy version of the cover of my favorite book at the time, Great Pyramid Mystery by De Wolfe Morgan, hinged them at the top with yarn and wore them like a bulletin board. Of course, back then we did real trick or treating, going from neighbor’s house to neighbor’s house. Now a days, to keep our kids safe, we go to a variety of haunted hangouts, places of varying levels of scariness, to have some Halloween fun. And, of course, all the major theme parks want to get in on the action. Below, you’ll find a list of the Halloween events taking place at major theme parks across North America. If you know of others, feel free to post them in a comment. I’m sure your fellow genre travelers will appreciate it. 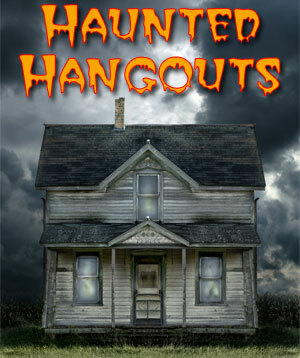 For a more comprehensive list of local haunts, you should check out HauntedHouse.com/.